As I mentioned in Tuesdays post, the higher elevation areas on Mt Hood keep the blooming season about a month behind those of the Portland Metro Area. 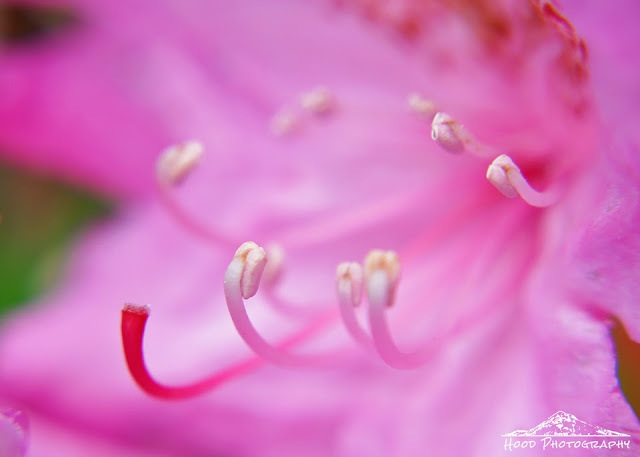 The rhododendron blooms were just in their prime when I was up there two weekends ago. Pretty! Yep, I was up hiking around Ramona Falls today, and saw lots of rhodies. Great photo and lovely color !